On this page, we take a look at a few of our favourite apps for the iPhone, as used by the Essex Ham team. If there’s one we’ve missed, please let us know in the comments section below. We’ll be taking a look at ham apps for the Android platform in a future article – again, suggestions welcome! A very handy little application that overlays the entire network of repeaters overt a map. Find your local repeater, and get the vital input and output frequencies, plus the CTCSS codes. A must for any mobile ham. It also reports your GPS co-ordinates and altitude. 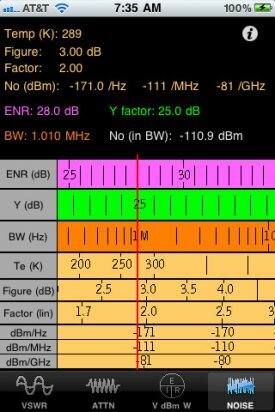 OK – So we know that some hams regard Echolink as ‘cheating’ as it uses the Internet for communications instead of RF, but regardless, Echolink is a great way to stay in touch with other amateurs when RF isn’t up to the challenge. This is a great, free, application that does a great job of handling Echolink communication, and a very handy directory of who’s online. 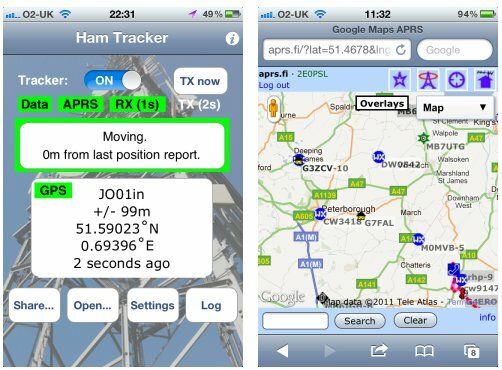 If you want to experiment with APRS, the amateur radio location service, then you can use your iPhone or iPad to report your location using the APRS network. A handy way of showing other amateurs where you are when you’re mobile. Learning CW, or just interested in what’s happening on-air with morse? 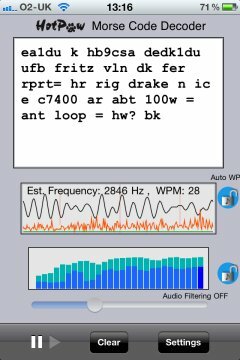 This app uses the iPhone’s built-in mic to pick out morse signals from the noise and convert from CW to plain text. Sometimes it can be a little hit and miss, and it needs fine-tuning to get stable, readable, strings of text – but for those looking to listen into the world of morse, this is a great app. With audio filtering and a words-per-minute count. 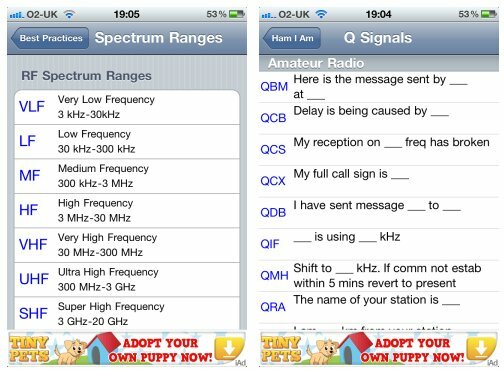 A very handy app for newbies to the hobby… this lists the Phonetic Alphabet, Q-Codes, common ham terms, the morse alphabet, RST, RF spectrum information and common ham formulas (handy for those revising for Foundation, Intermediate and Advanced). 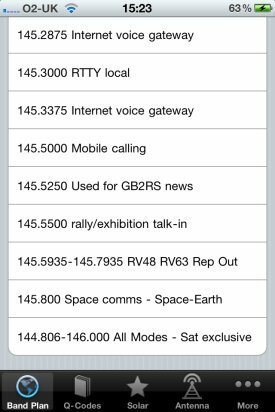 It’s a US app, so there’s information about ARRL not the RSGB, but nonetheless it’s a handy reference app. 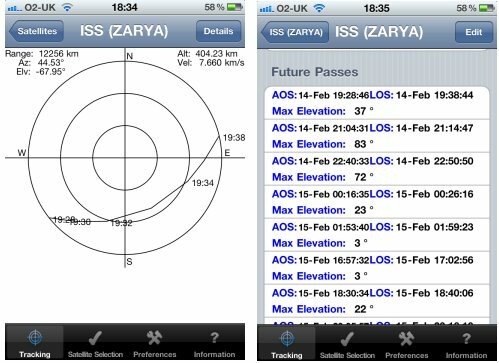 A handy app for tracking the amateur radio satellites and the International Space Station. Not as intuitive as a world map, but very handy for looking at future passes and AOS (Acquisition of Signal) for your target satellite. 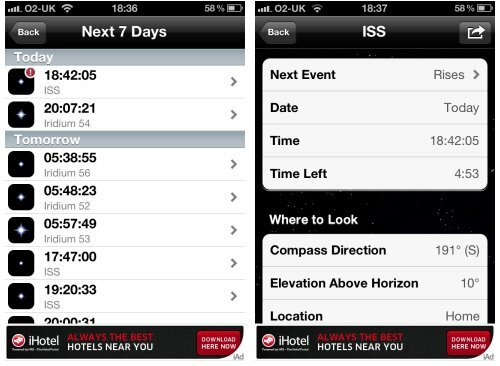 Another handy app for tracking the International Space Station. Again, no map, but the information about upcoming passes is very handy and easy-to-read, and there’s a handy “Notify Me” alerter plus an audio countdown. 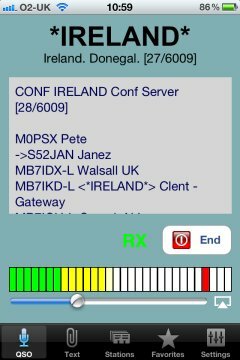 Great for contesting or trying to contact that elusive contact – this makes use of DX Cluster information to see who’s talking to who and on what band. Includes “Last Sports”, a “Spots World Map”, a logbook (with the option to upload your spots), plus a Grey Line map and propagation information. Well worth a look for serious DXers. 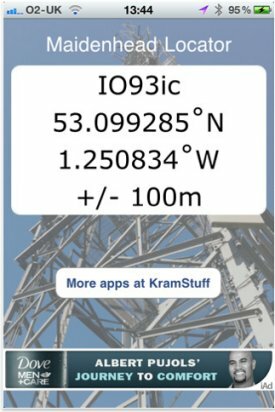 Two apps worth looking at are the RF Slide Charts which are good for a quick reference to antenna output and efficiency, and Ham Square Locator which is very handy for looking up both locator square and Lat/ Long coordinates for when out and about or working those special event stations. Please advise if you need more info on finding them. 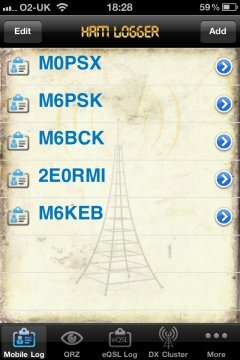 Wspr watch let’s you see your wspr spots on an iPhone (I wrote it) it’s free. Thanks for the site, keep it up! Nice blog! Thank you for posting it. We are also deal in same field. For more information visit our website.